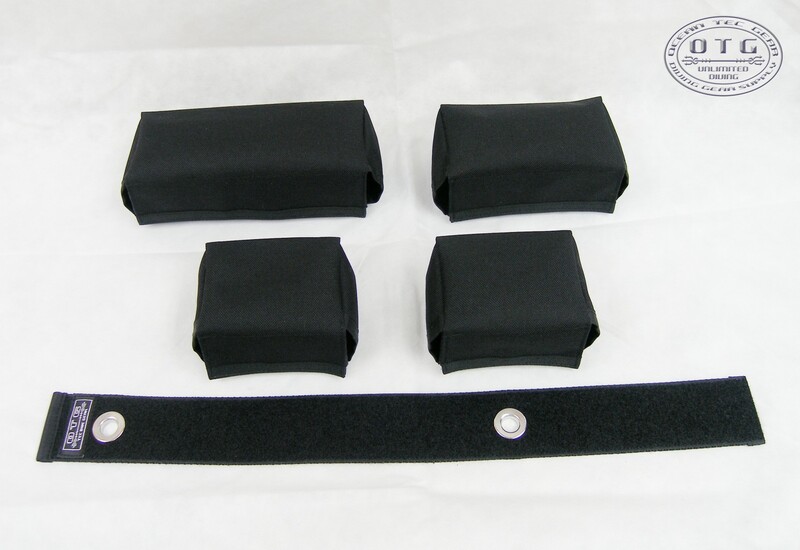 OTG Technical Scuba Diving Adjustable V Weight Pouch System is specificailly designed for double tanks. Now, divers can easily add trim weight in the centre groove of set of doubles between the cylinders and backplate. Our newly adjustble design can enable divers to setup and adjust their trim weight on the upper, medium or lower back. 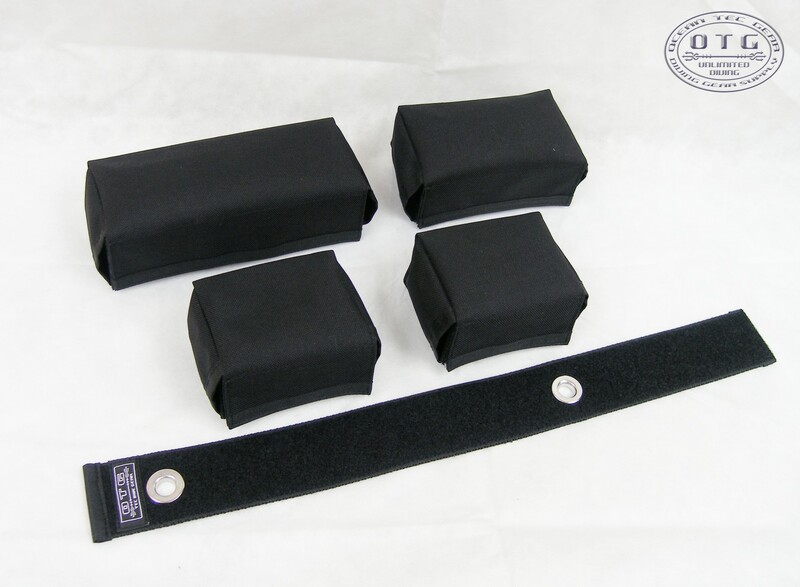 This adjustable V weight pouch system comes with 1pc. Grommets webbing, 1pc. 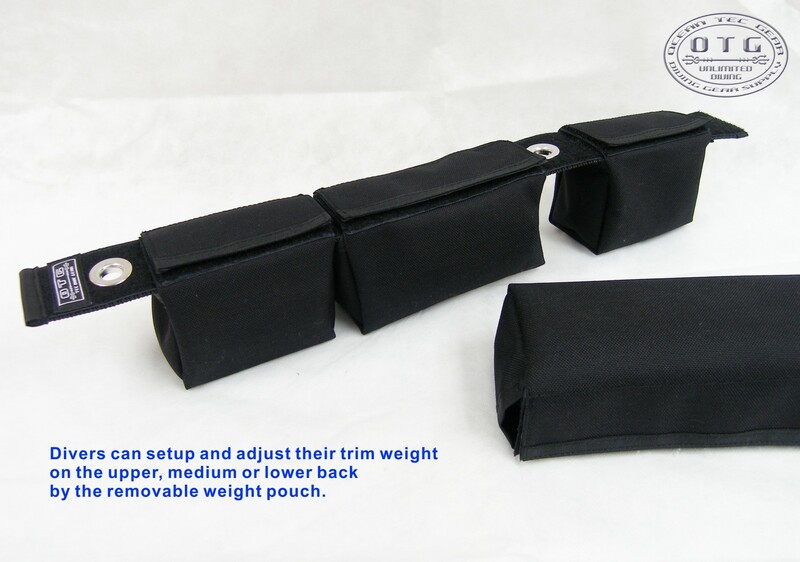 Large size adjustable weight pouch, 1pc. 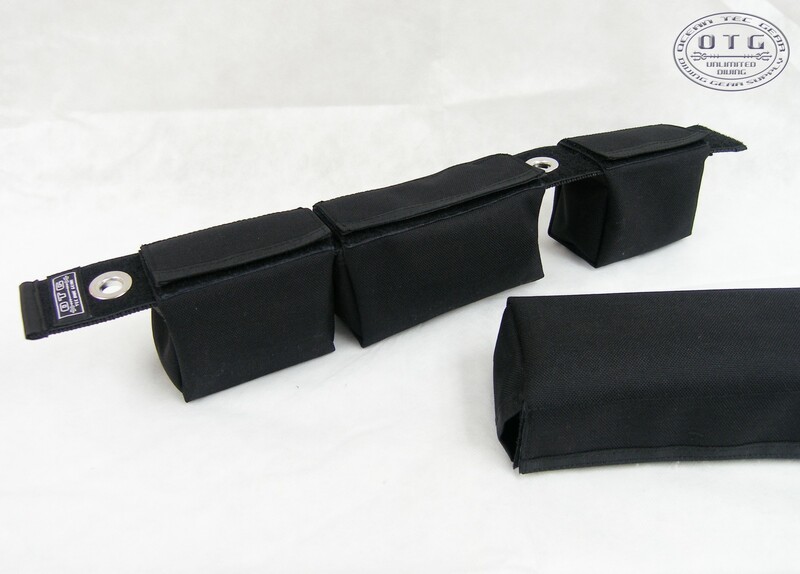 Medium size adjustable weight pouch and 2pcs. Small size adjustable weight pouch. Divers can decide how to use them to setup their own "V" weight stytem and adjust the amount of weight based on their needs. This product can hold up to 10 lbs of soft weight (also fit for some of the solid weight, please check the details from our product description) and it attaches via grommets on 2" webbing. The size of center to center of grommet is 11" long and is fit for most universal twins cylinder band bolts. It is perfect for trimming double cylinders to control buoyancy. - Holds up to 10 lbs pf soft weight. 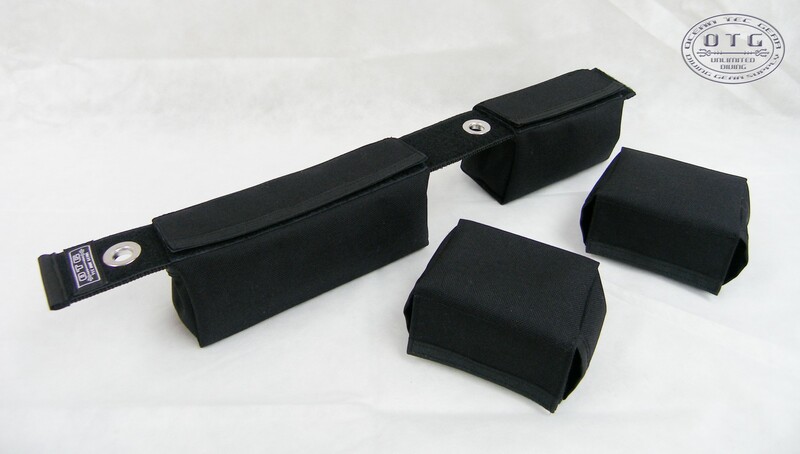 - One set of V weight pouch system included 1pc. Grommets webbing, 1pc. Large size weight pouch, 1pc. Medium size weight pouch and 2pcs. Small size weight pouches.